195 candidatures had been submitted as of 14th March. Around 150 public figures are to make up the eight juries (one for each category) in charge of granting the Prince of Asturias Awards and are to begin convening next 8th May. This year marks the Awards' thirty-third edition. Arts: 8th and 9th May. Social Sciences: 14th and 15th May. Communication and Humanities: 22nd and 23rd May. Scientific and Technical Research: 28th and 29th May. Literature: 4th and 5th June. International Cooperation: 11th and 12th June. Sports: 18th and 19th June. Concord: 3rd and 4th September. The members of the corresponding Jury will be holding a press conference on the first day of meetings at 12 noon, right before the deliberations are set to begin. The Jury's decision is to be made public at 12 noon on the second day of deliberations of each of the juries. The Prince of Asturias Awards are to be presented this October at the Campoamor Theatre in Oviedo in a grand ceremony that will be presided by His Royal Highnesses the Prince of Asturias. Each of the eight Prince of Asturias Awards comprises a Joan Miró sculpture representing and symbolising the award, a cash prize of €50,000, a diploma and an insignia. At the close of the nomination period, 14th March last, the Foundation's headquarters had received 195 candidatures from 54 countries. 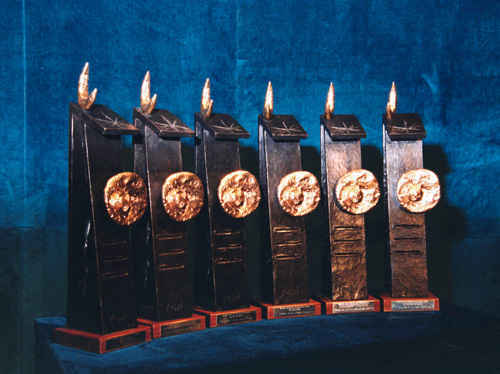 Those institutions and individuals presenting nominations include prestigious universities, academic institutions and research centres of international scope, directors of the main museums worldwide, prior laureates of the Prince of Asturias Awards and other personalities, Spain's ambassadors and representatives of the accredited diplomatic corps in Spain. The deadline for submitting nominations for the Award for Concord is 18th July. The members of the juries can submit their own nominations -in those categories in which they do not form part of the jury- up until three days prior to the date set for convening the corresponding jury.